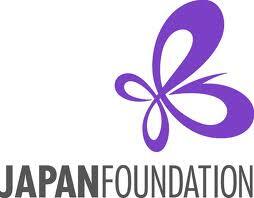 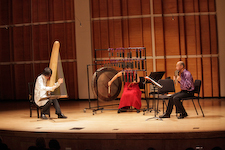 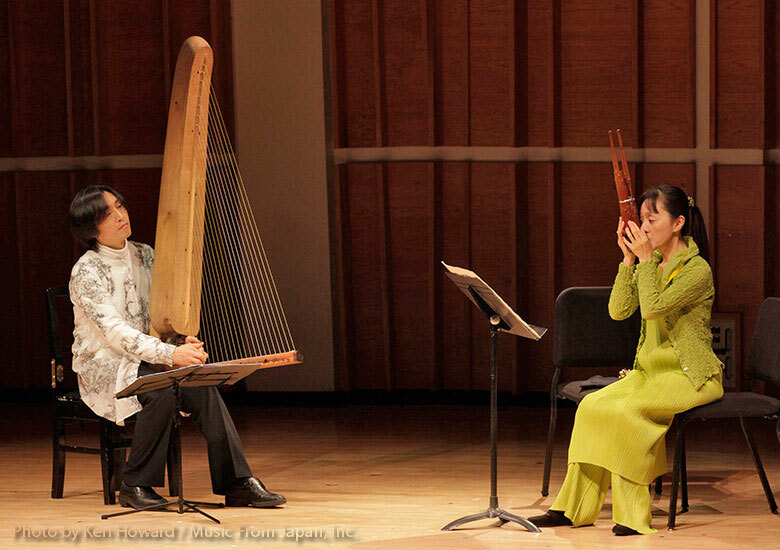 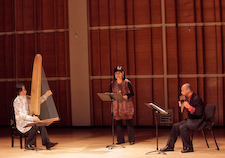 Since its founding in 1975, Music From Japan has enriched the cultural life of New York with annual presentations of traditional and contemporary Japanese music, and Festival 2012 was no exception. 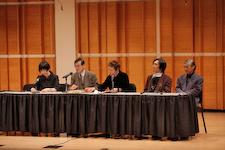 However, in light of the trio of catastrophes suffered in Japan – the earthquake, tsunami, and nuclear disaster of 2011 – Music From Japan dedicated its 37th season to helping raise funds for and awareness of Iitate, one village that has been especially impacted by the nuclear calamity, and to which MFJ Artistic Director Naoyuki Miura has close personal ties. 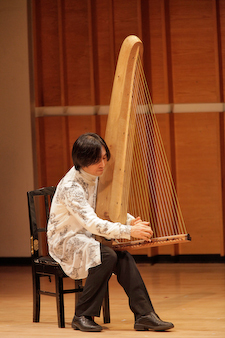 Mayor Kanno’s lecture was succeeded by “Resonances of the Kugo” a concert showcasing the kugo, or angular harp, and one of its leading exponents, Fuyuhiko Sasaki. 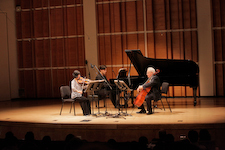 Applauding him as “a masterly player,” Tommasini went on to admire the “five other impressive artists” with whom Sasaki performed. 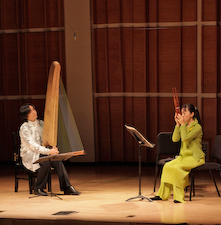 This program featured world premieres of three new Music From Japan commissions, including two that were written especially for Iitate; one of these new works written for the stricken village (To Be Human, scored for kugo, voice, and haisho, or Japanese panpipes) was from the pen of the quietly charismatic kugo soloist himself. 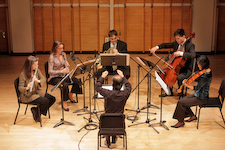 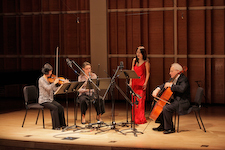 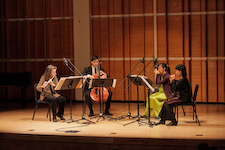 “Commissioned Chamber Premieres”, the following day, presented world premieres of five further new MFJ commissions, scored primarily for Western chamber ensemble, while “Resonances of the Kugo” was repeated on February 22 as a prelude to the National Cherry Blossom Festival’s centennial celebrations of Tokyo’s gift of trees in Washington, DC. 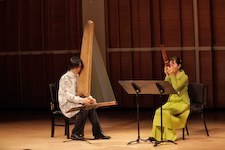 A day before the concert in Washington DC, a gagaku program delighted the students at S. J. Thomson Elementary School in the morning and Mayor Kanno gave an expanded version of his lecture at the Japan Information and Culture Center in the evening. 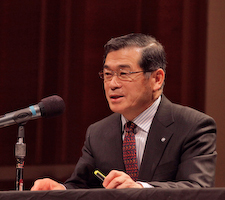 During the introduction, Ambassador Ichiro Fujisaki thanked the American people for all the generous help and support extended to Japan.